Acclaimed author and poet Maya Angelou died this morning at age 86. Not many people have inspired as many lives as Maya Angelou has. Did you know that at 16, Maya Angelou was the first black streetcar conductor in San Francisco and also the first woman conductor? By the time she was 40, she had been a cook, a waitress, a madam, a prostitute, a dancer, an actress, a playwright, an editor at an English-language newspaper in Egypt, and a Calypso singer? It was only when she was 41 that she became an author and wrote her first book, I Know Why the Caged Bird Sings, in which she told the story of her life up to the age of 17. Maya Angelou’s beginnings were far from easy. Born Marguerite Johnson in 1928 in St. Louis, Missouri, she was raped when she was 7 by her mother’s boyfriend and testified against him in court. Traumatized, she wouldn’t speak in public until she was 12. This was the time the written word kept her company. Although she got her voice back, life didn’t get better. At 17, she became a mother and moved cities, jobs and husbands. Angelou was one of her husbands and Maya was her brother’s nickname for her. At 40, her friends persuaded her to use her gift with words to write about her life. And she did. Angelou has several award-winning books to her credit. She also wrote children’s books and essays and the lyrics to a musical. Her energy is infectious and she was always busy, relentlessly creative. Maya Angelou has been honored with more than 50 awards, including the nation’s highest civilian honor, the Presidential Medal of Freedom, for her collected works of poetry, fiction and nonfiction, most notably her groundbreaking memoir, I Know Why the Caged Bird Sings, which made history as one of the first nonfiction best-sellers by an African-American woman. Here is a slideshow of some of my favorite Maya Angelou quotes. I am listing some more of Maya Angelou’s quotes for you to enjoy! I can never get enough of them! Zeenat (Positive Provocations) recently posted…What are you going to be remembered for? What is your life’s message? Welcome again, Zeenat. I know, right? Maya Angelou’s life is an inspiration. 🙂 Thank you. That is one of my own favorites too! Have a great trip! I’ve always been so inspired by Maya Angelou and how she overcame so much adversity in her life and still stayed positive and gave so much to the world. Lovely post, Vidya. I learned a lot about her I didn’t know. Love all her quotes and how inspiring they are. If I’m ever feeling down or pity for myself, I only have to read one of her quotes to get things in perspective. The world is a lesser place without her but at least her legacy lives on. Thank you for posting this right away Vidya! I am a great admirer of Maya Anglou! I love to read her book and her poetry, especially if she’s the one reading it. Thank your for the inspiring post! This is a beautiful tribute to a beautiful spirit. Thank you. Maya Angelou is an inspiring person, Vidya. And you have done such an beautiful tribute to her. My favourite quote is #4 on your list, the one that talks about forgiveness. Lovely! 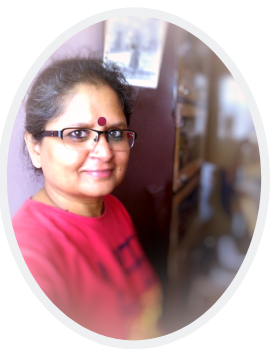 Shailaja V recently posted…100th post-2014: Changes and New Features! Maya surely has left us a wealth of pearls to be pondered on. Great to see this sweet tribute to her by compiling her quotes. My favorite is no.3 listed here. How one made you feel is what stays with you for a long time.Really. Wow these are inspring words … She was a strong woman. Her words and quotes speak so much of her strength and struggles. Thank you for sharing them. Someofthe above quotes are my all time favourite… esp “Be a rainbow in someone else’s cloud”, “I’ve learned that people will forget what you said, people will forget what you did, but people will never forget how you made them feel.” and lots more…. even before I knew these were Maya Angelou’s words. She was truly a phenomenal woman. Thanks Vidya for such a lovely tribute to one of the most inspiring authors and human beings. Loved her words, her book “I know why the caged bird sings” was one of the most touching books I have ever read. She truly was and will always remain inspirational for millions of Americans and everyone worldwide. Great collection of quotes there. Honestly I didnt know much about Maya Angelou’s work, but thanks for writing this post, I am glad now I know her a little better ! Ananya Kiran recently posted…Mrs INDIA WASHINGTON – The End ?? Vidya, listening to her voice reading out her poems has had such an impact on me! Thank you for this most fitting tribute to a truly phenomenal woman! Isn’t it wonderful how one person can touch so many! Maya Sngelo sang Calyso? She truly is a woman after my own heart! It is a sad news.Yes,she was great person and inspired many.I read a lot about her and many of her quotes yesterday.I sent today my good morning mail with this quote of hers. Carolyn Hughes recently posted…If you’re afraid to do it, do it afraid. Beautiful collection of quotes, Vidya… Truly inspiring! Loss of a remarkable woman who inspired many with her words…. Thank you Vidya. yes the world is a little poorer for her passing but her wisdom will always live on. No. 8 is what I would choose but they are all so powerful. Carol Graham recently posted…Wouldn’t You Love To Be A Fly On The Wall? Such a beautiful tribute to Maya Angelou. She was truly an inspiring being. I never forgot how she made me feel, and I was sadder at her death than I was for any writer I’ve mourned. Thanks for this, Vidya. Damyanti recently posted…What Relationship Advice would you give your 16-year old self? I have read her six-part autobiography and have been left dazed by the life she lived — a fighter to the core, and yet as feminine as they come. For me, her life was an inspiring quote. Zephyr recently posted…Who is afraid of fear? A beautiful tribute to Maya. Honestly, I didn’t know much about her life and struggle but been reading a lot of late and ur post is only adding to my knowledge. Such a great lady who never ceased to grow. 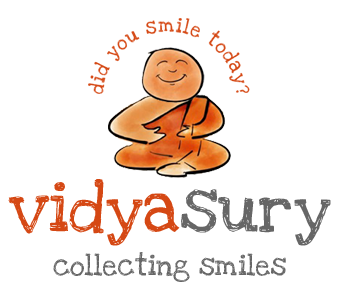 Vidya, Vidya, sorry for the repetition but I am super excited to be reading your blog posts again. I am back after a year away and started a new blog : D. One year older, and hopefully one year wiser or else all that money sent to therapy was a waste : /. I loved this post. I didn’t know much about her background. She lived fully and has touched many people’s lives and still is making a difference. I can relate to both of them. Actions speak louder than words and whereever you go you leave an emotional footprint on someone whether it is miniscule or gigantic. Hope all is well with you Vidya. I look forward to reading your blog again. So what a nice surprise to hear you are back! Maya Angelou is such an inspiration I find it hard to choose favorites from her words. It is good to see you again! Thank you! Looking forward to seeing you around. : D. Recently graduated from college and in the anxious state of finding out what exactly I want to do. Ah… this one post is a great tribute to the lovely lady, to the wonderful human being that Maya was, Vidya. Honestly, I wasn’t much aware of her work, but I’d heard some of her quotes and loved them :)Her words leave us enriched, and her life leaves us inspired….I guess she’ll never really die ! What a vibrant and beautiful spirited individual! My favourite quote is: “I’ve learned that people will forget what you said, people will forget what you did, but people will never forget how you made them feel.” SO TRUE. simple girl recently posted…A to Z reflections post…. Thank you Vidya for throwing so much light on the life of a great lady who faced all obstacles with determination and dignity . Maya’s whole life is a lesson to humanity. Life does not stand still after facing so many adversities. Life goes on. We must learn from her life to never give up.